Asus has recently released a great value dual-band AC750 wireless router for home and cloud use – the Asus RT-AC52U Wireless Router, together with the USB-AC50 an AC450 wireless adapter, providing consumers with an extremely affordable instant upgrade to the latest 802.11ac Wi-Fi technology – for super-fast data-transfer speeds of up to 733 Mbit/s. Learn more about its features, specifications, and availability below. 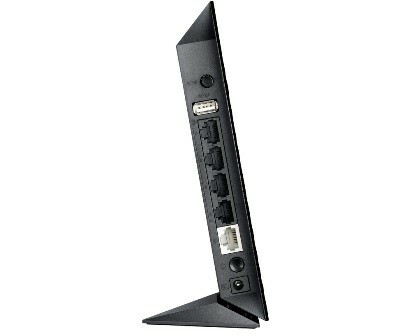 UPDATE: The ASUS RT-AC52U Wireless AC750 Dual Band Router is now available. See price and where to buy below. The Asus RT-AC52U provides simultaneous Wi-Fi connections via both the 2.4 GHz and 5 GHz bands and includes a specially-designed antenna that extends the wireless signal by up to 150% compared to other routers. The new router includes a multipurpose USB port that allows users to connect and share a printer, hard disk drive or 3G/4G (HSPA+) data connection. It can even be used to charge mobile gadgets such as smartphones and tablets – a brilliant little convenience. The Asus RT-AC52U supports ASUS AiCloud for easy file synchronization, sharing and streaming and is bundled with USB-AC50, an 802.11ac wireless adapter that works in the 5GHz band for fast, interference-free connections at speeds of up to 433 Mbit/s (AC450) – and delivers an instant upgrade to the latest 802.11ac Wi-FI technology. RT-AC52U’s three antennas are built in to the router for ultra-sleek looks, and they work simultaneously on both the 2.4 GHz and 5 GHz bands – doubling the wireless possibilities and more than doubling performance potential. The Asus RT-AC52U is able to transmit and receive data at up to 300 Mbit/s in the 2.4 GHz band and up to 433 Mbit/s in the 5 GHz range – simultaneously. The 733 Mbit/s combined bandwidth is a huge benefit because, with the included USB-AC50 wireless adapter, users can rely on the 2.4 GHz band for daily tasks such as web surfing and email and enjoy fast, smooth and buffer-free online gaming and HD content-streaming on the less-congested 5 GHz frequency – and all without a trace of lag. ASUS engineers have also fitted RT-AC52U with high-powered amplifiers for extended indoor and outdoor range. Compared to competing 802.11ac routers, RT-AC52U increases the wireless signal by up to 150% – extending the router’s range to all corners of the typical home and well into the garden. RT-AC52U is much more than just a router, thanks to its built-in USB port. Simply by plugging in a USB hard disk drive, RT-AC52U becomes a file server – and one that extends into the cloud via ASUS AiCloud technology. Alternatively, users can attach a USB printer to RT-AC52U to create a print server – great for sharing one device with several users. The USB port also accommodates 3G/4G mobile broadband dongles, so users can have two broadband (WAN) connections on one router – helping to balance network traffic and providing an effective backup (failover mode) to ensure uninterrupted internet access. The port can even be used for powering gadgets such as smartphones and tablets, so RT-AC52U doubles up as a handy charging station. The Asus RT-AC52U includes support for ASUS AiCloud, an exclusive application that turns the router into a powerful personal cloud server. Files stored on the network, on attached USB storage devices or on ASUS WebStorage can be effortlessly synchronized using the ASUS Smart Sync feature. They can also be shared with friends, colleagues and family members simply by sending a link via email, text message or popular social-networking apps. Users can access their data via the AiCloud web interface or the free AiCloud app for Android and iOS devices – so they can sync, share and stream content anywhere. AiCloud also features a new router-to-router synchronization mode that automatically synchronizes USB-connected storage on other compatible ASUS routers, for easy sharing of large files with family and friends. Setting up RT-AC52U is extremely simple with the easy-to-use ASUSWRT dashboard. This makes it simple to configure the advanced networking features, such as quality-of-service (QoS) prioritization – so users can monitor and control the bandwidth usage on each of the four available Ethernet (LAN) connections. Other great ASUSWRT features include parental controls, dual WAN management, network mapping and printer sharing. RT-AC52U even includes an easy-to-configure VPN server, configured via ASUSWRT, so users can set up private, secure remote access to their home network. As of to date, Asus hasn’t disclosed the manufacturer’s suggested retail price of the RT-AC52U, but it is expected to be available starting mid-February. I will post update soon when this product becomes available to order. 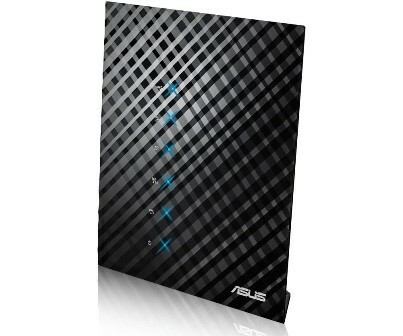 UPDATE: The ASUS RT-AC52U Wireless AC750 Dual Band Router is now available. It currently has a retail price of $64.29 only and you can order one here (You can get a $10 main-in rebate until January 31, 2015).